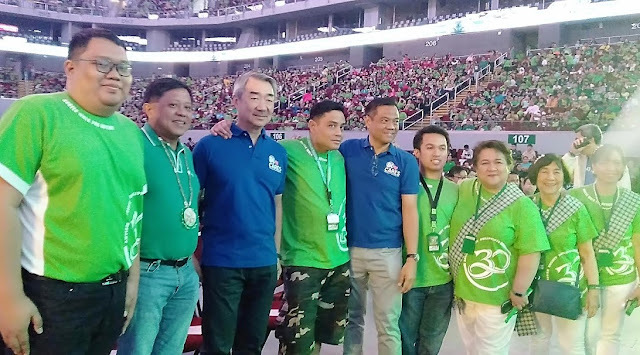 Over 20,000 participants joined the Angels Walk for Autism last March 3, 2019. 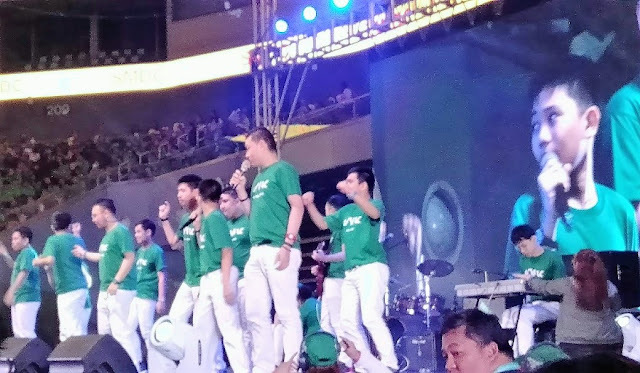 The Autism Society Philippines (ASP), together with SM Cares, the Corporate Social Responsibility arm of SM Prime Holdings, holds this annual activity at the Mall of Asia Arena. Since it began in 2007, the walk continues to advocate for acceptance, accommodation and appreciation of Filipinos with autism towards an Autism-OK Philippines. This year’s Angels Walk for Autism celebrates our country’s legacy of strong leaders that have brought the autism advocacy forward -- for the last 30 years, across 97 chapters, with 13,000 members -- and have become the foundation on which the next generation of leaders will build the future. Hans T. Sy was honored as the inaugural recipient of the ASP’s Leadership Award for Autism Inclusion and Welfare. It is the society’s highest recognition, celebrating exemplary leadership that has significant and positive impact on advancing ASP’s vision of acceptance, accommodation and appreciation of persons with autism in an Autism-OK Philippines. Beyond awareness, Mr. Sy’s leadership has inspired tangible, measurable action through the accomplishments of SM Cares. ASP awarded the Autism Works Partners of the Year honors to Dohtonbori Philippines, a Japanese casual dining pioneer and to Willis Towers Watson, a global leader in risk management and consultancy, for their unwavering commitment to creation of productive opportunities for jobseekers with autism. The program includes the presentation of the annual ASP Autism Angel Achievement Awards to Samantha Pia Cabanero (for Advocacy), Eduardo Enrique Munarriz (for Athletics), and Carlo Gregorio Veluz (for Visual Arts). It will also incorporate the induction of the new ASP Board of Trustees, composed of parent advocates; and the first set of officers of the ASP Self-Advocates Circle, composed of adults with autism. The festivities will include acts from special guests and performers on the autism spectrum, and a special presentation on ASP’s milestones since its foundation in 1989. The walk is held with the support of the MOA Arena, SM Mall of Asia, National Council of Disability Affairs, ASEAN Autism Network and the Asia-Pacific Development Center on Disability.